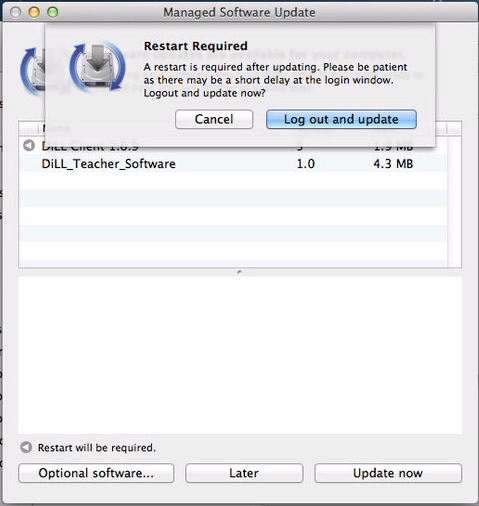 Use “Managed Software Update” to install the DiLL Student and Teacher software. 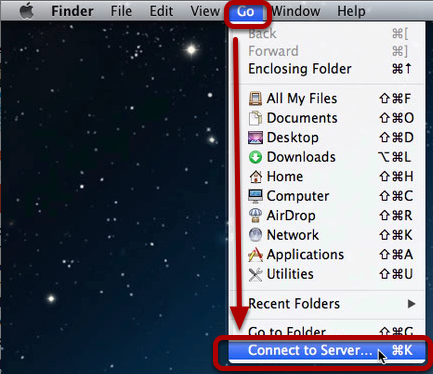 Access your files on the DiLL file server. 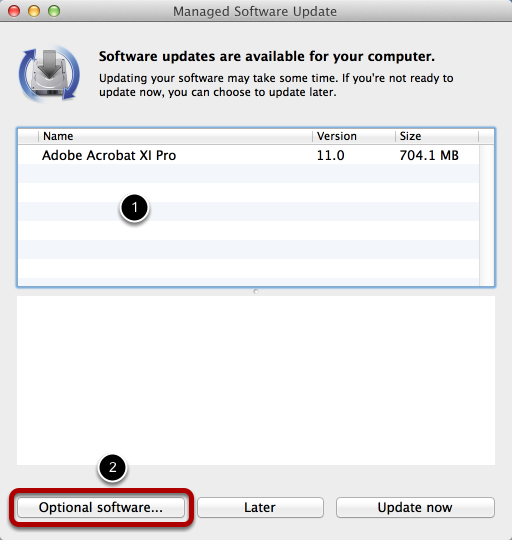 Open a new Finder window, then Select (1) Applications, (2) Utilities, then (3) Managed Software Update. Double-click Managed Software Update to acivate it. In the top section (1) you will see a list of software to be installed up updated. Below that, you should see a button called (2) “Optional software…” click that. 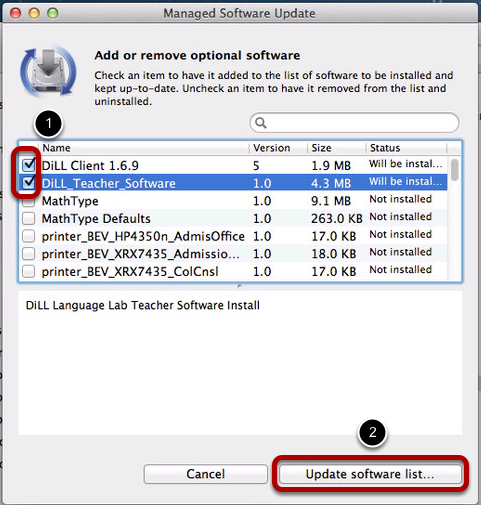 (1) Check BOTH the “DiLL Client 1.6.9” and “DiLL_Teacher_Software” install items. 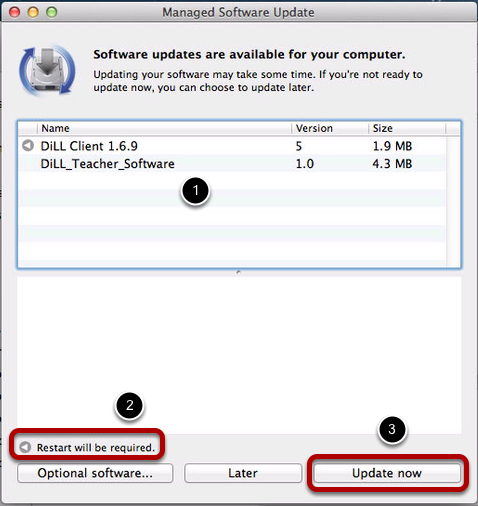 (1) Notice that the DiLL software has been added to the list of software that will be installed. (3) Click “Update now” to begin the installation process. The Managed Software Update application will warn you that you will now need to log out and update. The system will log you out and the softwre install will begin. This process should onyl take about a minute. Please do not stop the process, or close your laptop lid. Your computer will restart when the process is complete. and a “DiLL Teachers Guide” instructional PDF. Click on the “Faculty” share, then click “OK”. The Faculty share will mount to your Computer, and you can then access your files.